Developing novel methods for identifying and protecting landscape connectivity. Studying interactions between industrial and small-scale fishing vessels off Ghana's coast. Tracking resource access and governance under REDD+ in Colombia's Chocó. Linking ecosystem change and human well-being in Lake Victoria. The catastrophic global decline of biodiversity is widely recognized as among the most pressing problems we face as a society. The biological, economic and social consequences of depauperate oceans, tundras, savannas and forests remain unclear and in desperate need of study. Our research in the Department of Environmental Science, Policy and Management at UC Berkeley attempts to understand how the consumption of wild animals and conversion of natural habitats affects the dynamics of animal communities and the persistence of populations. Work in our group extends beyond traditional ecology and conservation to consider the economic, political and cultural factors that drive and, in turn, are driven by, changes in wildlife abundance and diversity. Through these efforts, we strive to propose empirically-based, interdisciplinary strategies for biodiversity conservation. 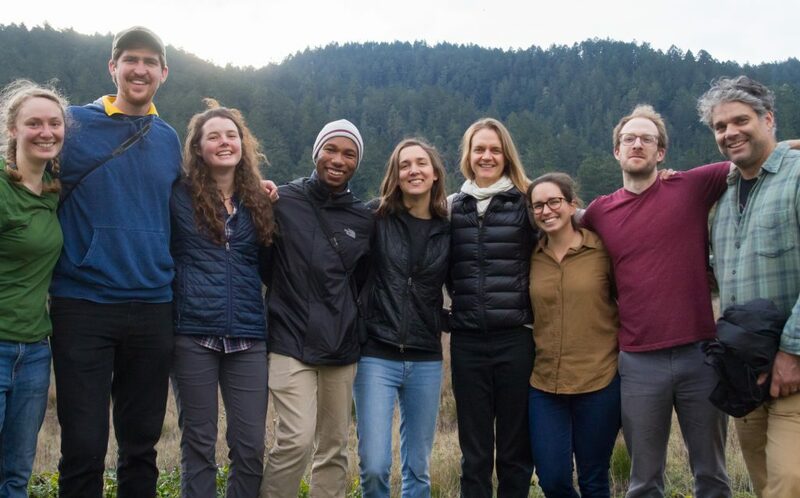 The Brashares Group on a Lab Retreat to Point Reyes National Seashore in December 2018.